K. Sanborn donated $26.00 April 24, 2019 ... "For Henry's dad!" Greg D. - Guy's Racing donated $50.00 April 23, 2019 ... "Thanks for partaking to send a message to the lawmakers!" Huenkes donated $26.00 March 25, 2019 ... "Thus is for Jeremy Richman. " Howard Family donated $100.00 March 24, 2019 ... "Thank you to the team for using your talents and time to advocate and educate on gun violence. " The Asches donated $100.00 March 23, 2019 ... "So impressed with you!" This is my third year with Team-26 and I am asking for your support again. Gun violence continues here and around the world and thoughts and prayers never worked. But, riding our bikes through all weather and meeting with victims, family members of victims, community and religious leaders from Connecticut to Pittsburgh just might. Thank you. Elena donated $36.00 March 22, 2019 ... "And again, hope the message gets through." 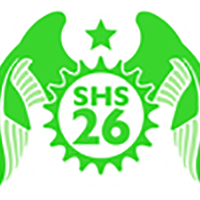 Sarah, Lorie and Bill donated $36.00 March 21, 2019 ... "Thank you and all of Team 26 for what you are doing to end the senseless gun violence and support meaningful gun control. " Michal donated $10.00 March 21, 2019 ... "Go, Dave, Go!"